Which digital marketing channel give you most bang for your click? 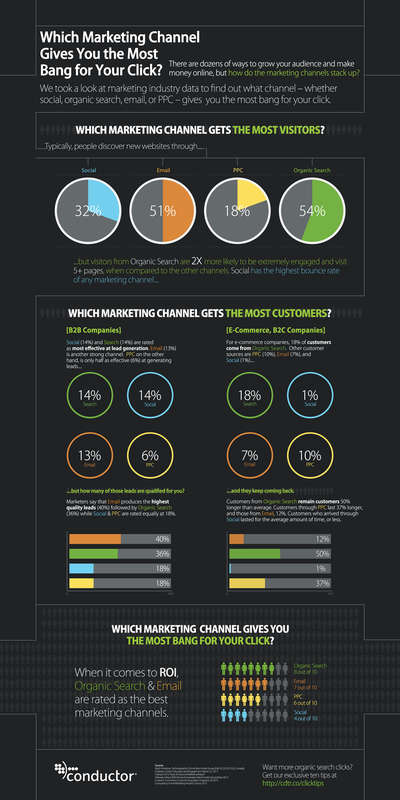 This infographic compares social media, organic (search engine), email marketing and PPC (pay-per-click advertising). It also usefully looks at differences between B2B and B2C.